PLEASE READ THE INFO TEXT BELOW ---> NEW RAFFLE!! 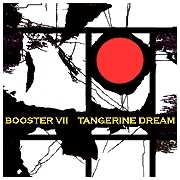 The first 100 buyers ordering the new SUPERNORMAL 3 CD + BOOSTER VII will automatically TAKE PART IN A RAFFLE. If someone from Asia, Australia, South America or USA will win, she or he will win a trip to one of the next TD concerts in EUROPE. incl. an eco flight and a concert ticket. If a European fan will win, she or he will be handed over an eco flight and a concert ticket to one place TD will perform outside of EUROPE next year. So, maybe you ARE the ONE ! ADDITIONALLY we have 10 more very special prizes: The second until the 11th winner will receive a FAKSIMILE-reproduction of SHEET MUSIC from a certain Tangerine Dream track originally handwritten by Edgar and autographed by himself. SHIPPING START: 31 JANUARY 2015!! !